Reverend Ulysses Rice lived in Washington, DC, and I lived in Hopkins, SC at the time I interviewed him. We were introduced by James Martin Wall, a double Johnson-Vance cousin. Rev. Rice sent me an interview conducted by Pat Whitehead, granddaughter of Howard Smith, son of Henry and Mary Smith. Rev. Rice is a grandson of Minnie Smith Young Summers, daughter of Henry and Mary Smith. 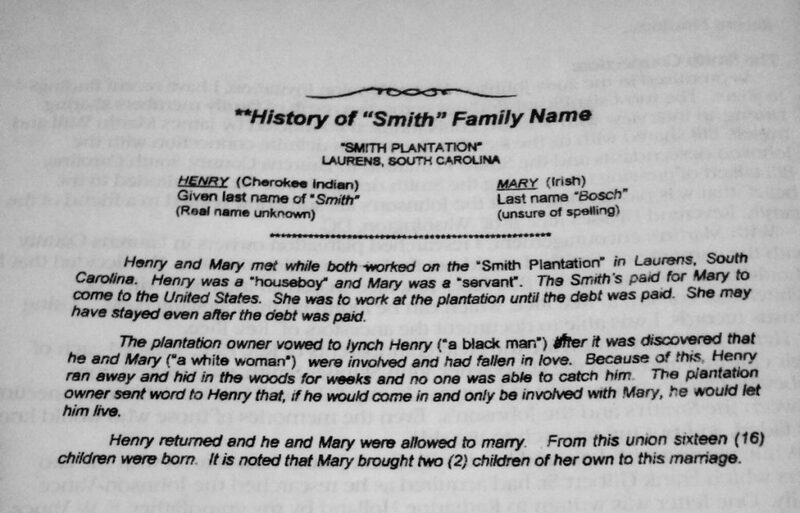 The “History of ‘Smith’ Family Name” was a portion of an interview of Rev. Ulysses Rice conducted by Pat Whitehead. The plantation, located in Laurens, SC, known as the Smith Plantation. Henry, a Cherokee Indian, was enslaved. 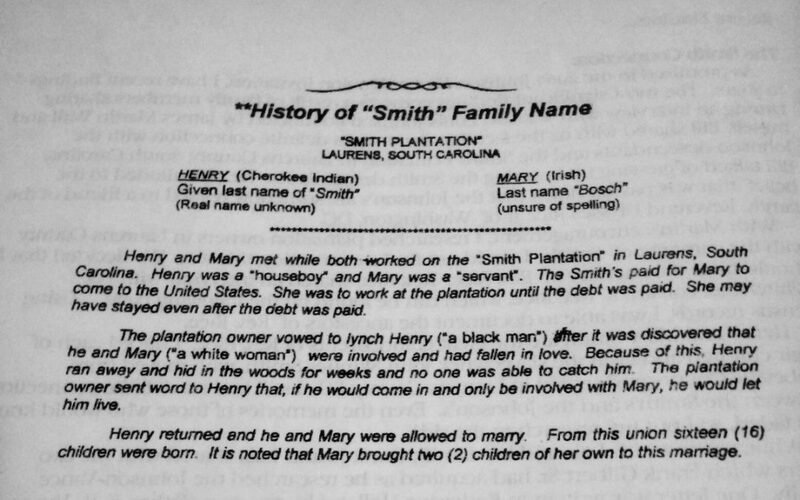 He was known at the time as a “houseboy.” The Smith’s paid for Mary Bosch (spelling maybe incorrect), an Irish woman, to come to the United States and work at the plantation until the debt was paid. The plantation owner vowed to lynch Henry after it was discovered that he and Mary were involved and had fallen in love. Henry ran away and hid in the woods for weeks. The plantation owner, John Skinner Smith, sent word to Henry that if he would come in and only be involved with Mary, he would let him live. Henry return and married Mary. They gave birth to sixteen children. Mary brought two children of her own into this marriage. 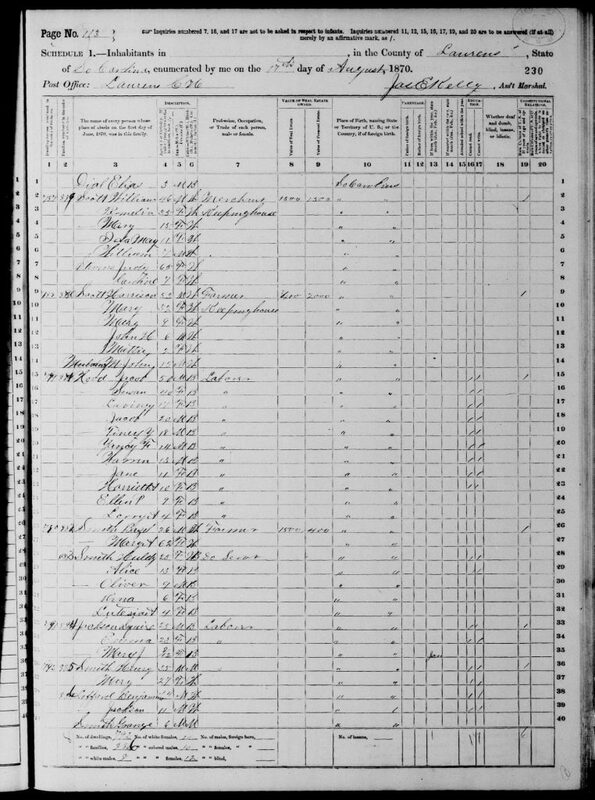 I started to make my mental list of all the place I would need to search next to find Henry, Mary, and my great great grandmother, Jane within this family. I went to bed and woke up Sunday thinking about this. I mentioned it in my prayers. A voice told me to look down at the side of my bed. “Greenwood County Sketches: Old Roads and Early Families,” by Margaret Watson was laying there. I was told to pick it up and look for Skinner Smith. I thought back to when I received this book last October at the Charleston, SC Family History Center. Delsa Biorn had invited me to take a look at books that were duplicate copies in the center. I browsed through and was elated to find this book. It is no longer being published, but I have used it to put together my family and others. I expressed a heartfelt thanks to her. Now, I was again about to open the book. 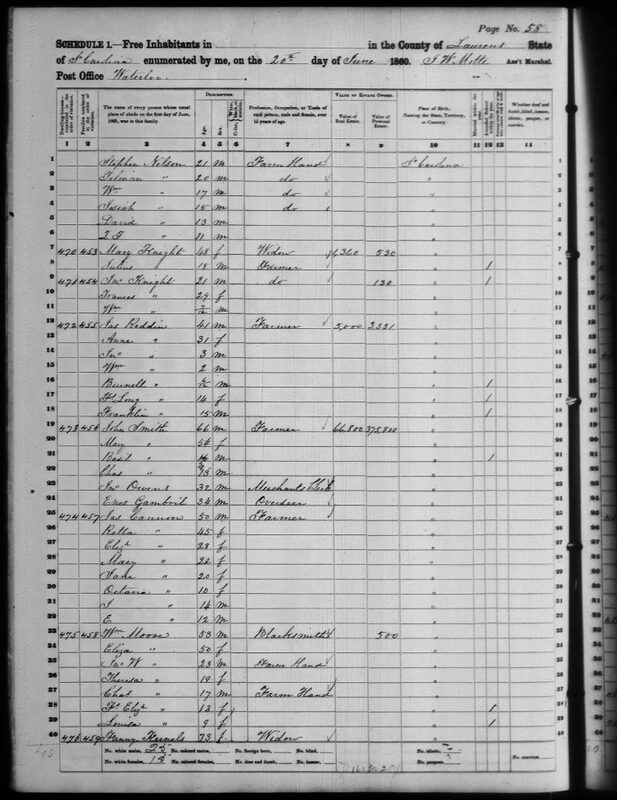 John Skinner Smith was the fifth child born to William and Lucy Wright Smith and first to be born at Stony Point in what is now Greenwood County in 1795. 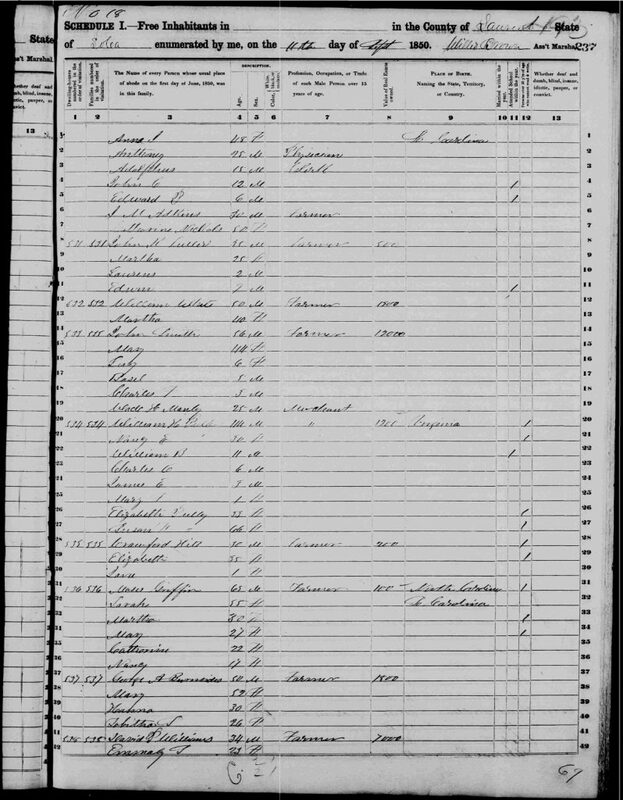 I found two generations of ancestors and two marriages of Skinner Smith, one to Jane Franklin and the other to Mary Ann Hallum. With the genealogy of his children also given, hopefully I can find more on my family. I will make a list of the family members of John Skinner Smith who may have had dealings with Henry or my great great grandmother, Jane, using “Greenwood County Sketches: Old Roads and Early Families,” by Margaret Watson. Have you ever been fortunate enough to make the same sort of list? Let us know on the Facebook Group.